What do you say about a game like this? I think I can say with confidence that most people in the 25-35 age bracket have not only played this game but revere it highly as one of the true greats of early fifth gen gaming. Wipeout is very much a “statement” game. 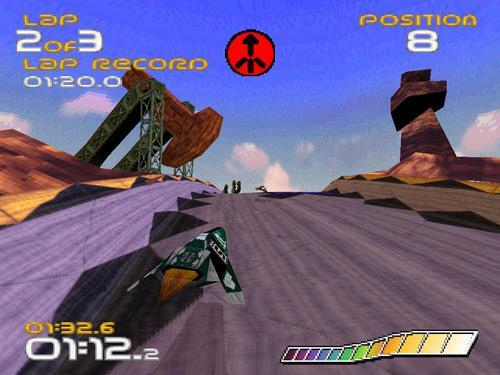 Along with fellow early fifth gen release Ridge Racer, Wipeout was a game that hailed the beginning of a new era in home console gaming. The sounds, sights, and spectacle of the arcade could now be fully enjoyed in your humble abode while reclined in your favourite comfy chair, and you no longer had to wait patiently while some brat with a pocketful of spare change and sticky fingers had all the fun on the cabinet you really wanted to play. As a lover of the arcade, I have some vague lament that the PlayStation became such a colossally successful monster of home entertainment, but I can also wilfully concede that it was high time video game enthusiasts had this sort of quality in their homes. Part of the joy of the arcade was the convivial nature of it all, where you and some mates could trundle down and while away an hour on the newest beat-em-up or racer before moving on with what else you had planned that day. 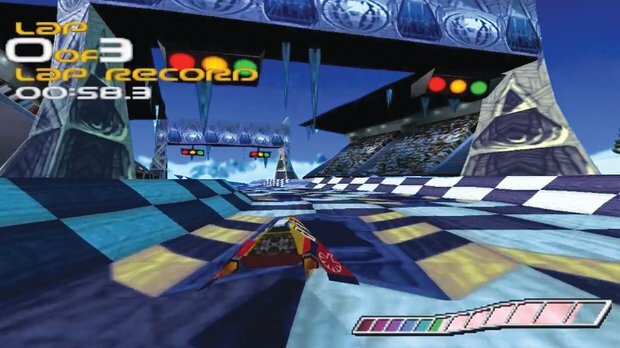 Games like Wipeout changed the dynamic of nights out in the 90s and onward. As opposed to meeting up at the arcade, blowing a couple of quid, and then heading to your end destination, now you’d head over to someone’s house for a quick go on the PlayStation, Saturn, or N64 before heading out. This wouldn’t have happened if games like Wipeout didn’t exist. Wipeout is very much a creature of its time. As a browbeaten member of Generation Y who grew up in the 90s, games like it set off my nostalgia senses with pronounced intensity. Everything from its electronica soundtrack, rugged graphics, fiercely unforgiving difficulty, and “pick up and play” gameplay screams “90s” to me. Playing it early on a Saturday morning for this feature, I could not help myself but break out in a wide smile as the opening FMV sequence played. Yes, this game doesn’t look anywhere near as graphically pleasing or polished to the modern eye, and I won’t pretend otherwise. But to someone like me who can still remember when FMV was a fresh and exciting new step in home console gaming, seeing that video and hearing the pumping electronic beatz (The “z” makes it cooler, so I hear) transported me back to my younger days when stuff like this was the height of cutting edge. Developers Psygnosis were a one time giant in the industry, and this period was a near sickening success for them. Amazingly, 40% of all video games sold in Europe during the financial year 1995-1996 were Psygnosis games. That’s not just PlayStation games, that’s ALL games. 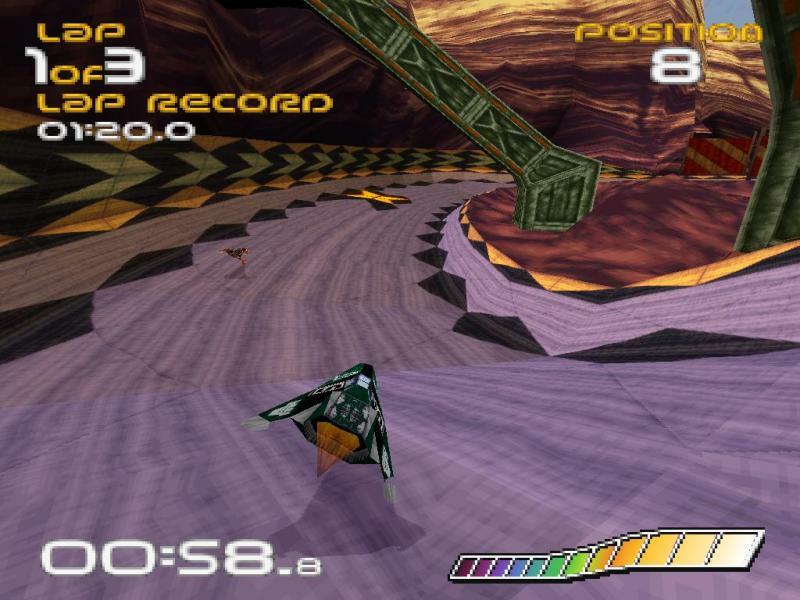 And from playing a game like Wipeout, you can see that the developer had its finger on the pulse for what video game enthusiasts were looking for at the time. Games like Wipeout, Overboard, and G-Police were hardly pushing the new hardware to its limits (to be fair, how often do launch/early games ever do that? ), but they were all functional and enjoyable games that gave the fledgling PlayStation a solid selection of software that enticed people into giving the new platform a try. And I think this was a core reason as to why the PlayStation eventually became the juggernaut it ended up being. 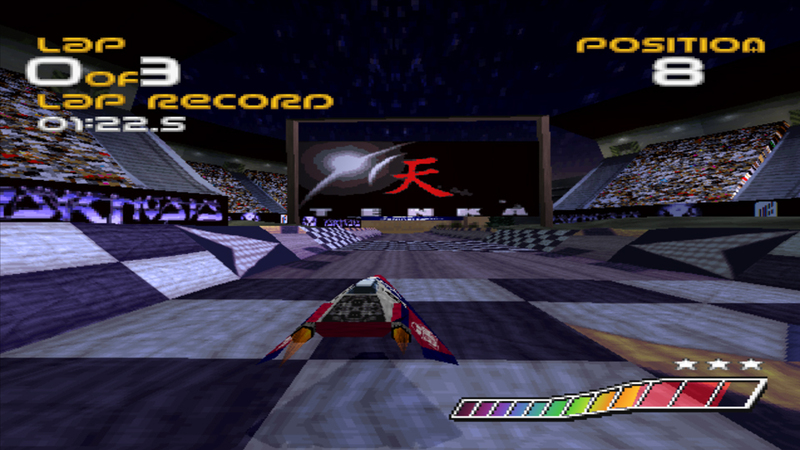 Games like Psygnosis’ Wipeout and Namco’s Tekken are archetypal early PlayStation games. They were eventually surpassed by much improved sequels, but they had the following going for them when they came out. They were uncomplicated enough to play that anyone could give them a go but were also difficult enough that more hardened players would want to put in the required hours to get better at them. Graphically, they were on par with what you’d be able to get in the arcades. They had soundtracks that were contemporary for the time and thus appealed to adults, as well as younger audiences. They both had strong multiplayer which meant you could enjoy them with large groups of your friends. Thanks to these factors, the early games library that the PlayStation had to offer was able to give it a solid foot in the market, and once Sony had that footing, they never let go. Thus when games like Final Fantasy VII, Tekken 2, and eventually Metal Gear Solid all found their way onto the market, the console had the inbuilt fanbase to buy them and spread the word. The importance of a game like Wipeout cannot be understated. I would certainly have it up there in the top 10 when it comes to the most important games in the PlayStation’s history. 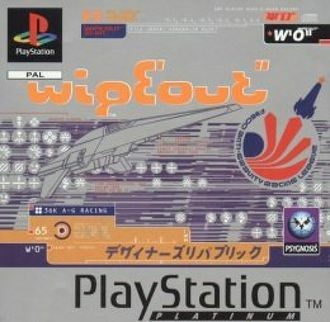 Though I may perhaps enjoy Ridge Racer more due to it being slightly more forgiving, I can’t deny that Wipeout was right there alongside it in the early days of the console. But how is Wipeout to play? It’s difficult, very difficult in fact. I’d actually forgotten how hard the game can be, and it was a wake up call, akin to a cold bowl of water to the face when I played it again for this feature. Due to the fact you’re tasked with controlling a futuristic anti-gravity F3600, speed is very much of the essence, but the race tracks are strewn with treacherous and narrow turns that can bring your progress to a shuddering and violent halt at a mere moment’s notice. To assist you in navigating the less than friendly courses and corners, you can also acquire power ups and weaponry as you can in games like Mario Kart. The problem with that is that your rival racers can also acquire them, meaning that just as you plan to traverse a huge gaping gorge in the middle of the race, you could end up getting a rocket up your backside, causing everything to go awry in tragic fashion. Races then become a game of timing your braking just right while also avoiding the unwanted advances of your rival racers. When everything comes together, it can be exhilarating, but chances are you’ll spend most of the experience being frustrated rather than elated. However, the fact remains that anyone can pick this game up and very quickly work out what they are supposed to do. 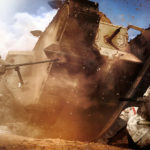 It is both accessible and challenging, which is the key to not only getting people interested in a game but also a way to keep them interested. The game definitely still holds up, and you can find it most places for under £5, which is a more than reasonable price. You can spend hours playing this one either on your own or with friends. It’s challenging, it’s enjoyable, and it has an absolutely belting soundtrack. Have a listen if you don’t believe me. As always, I’ll post some game footage below. Looking for other great content here on the site? Well, then you’d best take a goosey gander at the following, shouldn’t you?